Famous Dex's career in music continues to be on a upward pace, delivering a type of evergy that draws in the crowd. Recently he's aligned himself with Rich The Kid and 300 Ent., getting a cosign and a small machine behind him. 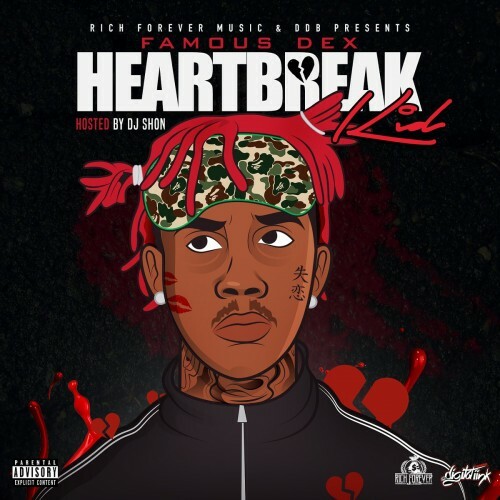 Dex recently release his new mixtape "Heartbreak Kid", hosted by DJ Shon, holding 12 tracks. He gets features from Lil Yatchy, Rich the Kid, Lite Fortunato, and Chino. Stream and download below.